This post & video of our pumpkin candy balloons has been sponsored by Mars Wrigley Confectionery US, LLC. All thoughts and opinions are my own. It's about that time of year when we start dreaming of all the fun Halloween parties to be had. From classrooms to our kitchen table, Halloween is a celebration we get behind to enjoy any way possible. 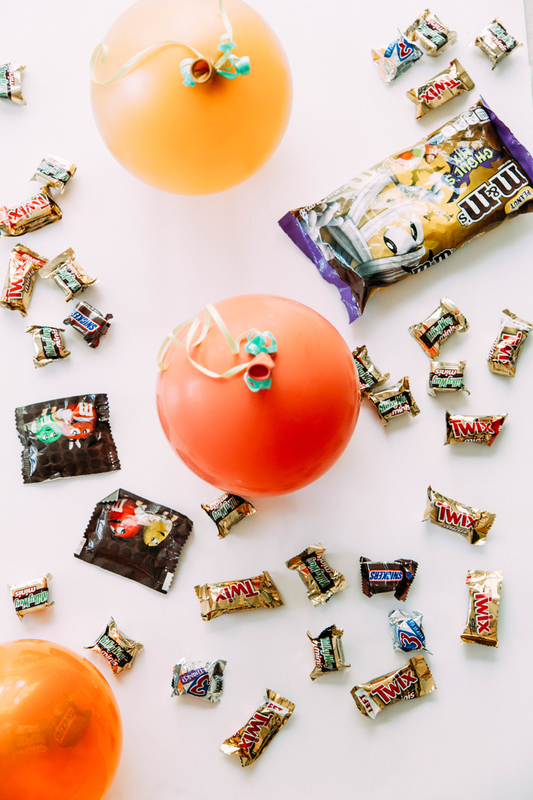 Although we've made fun jack-o'-lantern pumpkin balloons before, this year we decided to give our balloons a little extra purpose and fill them with candy! 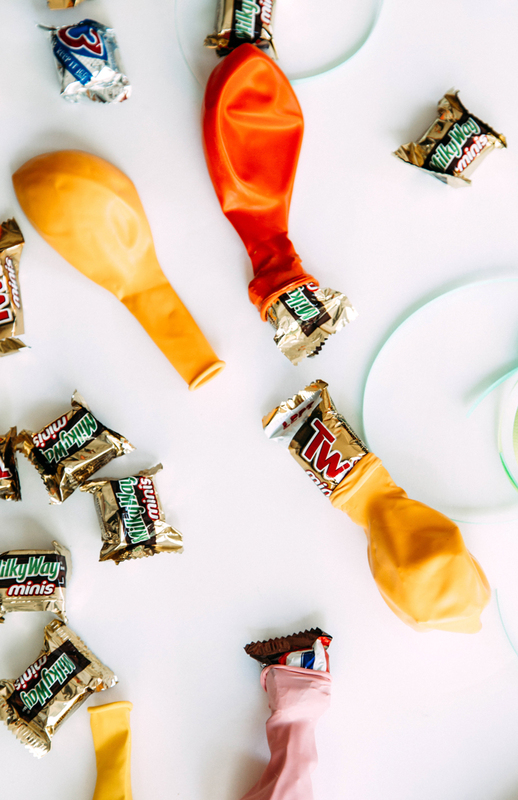 Candy filled balloons are the best way to celebrate Halloween. This way the balloons get to be decoration and a sweet treat to every kid who passes by. 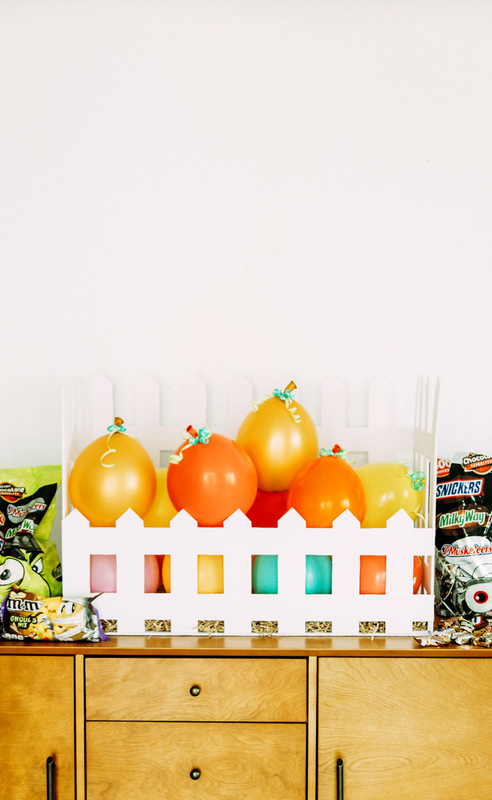 This pumpkin patch of candy fun is a great way to set up a treat station for a school class party. 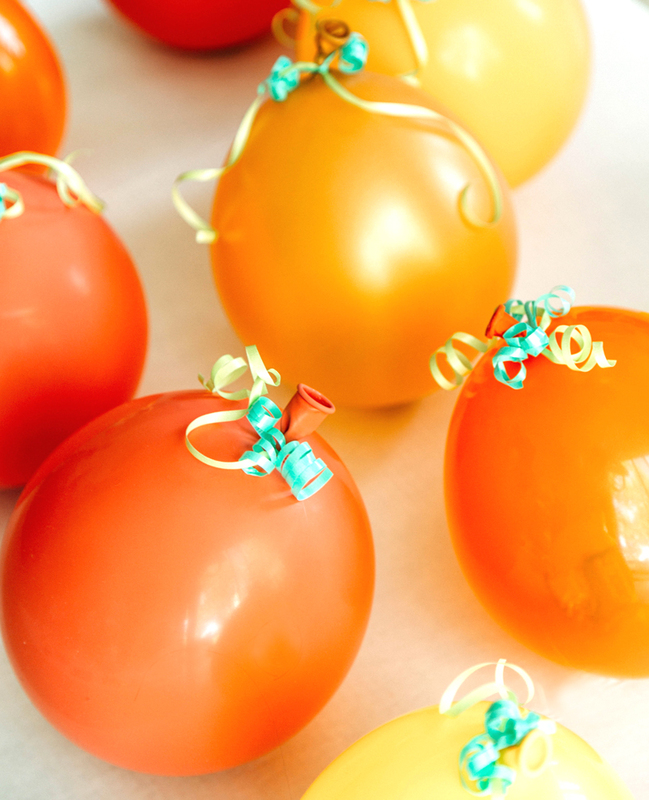 You could even make a stack of these candy balloons for your front patio and hand out trick-or-treats in a way all the kids will adore. 1. Cut one foam board in half top to bottom and cut one foam board in half side to side (set one half from this cut to the side). 2. On one full board, the two half boards, and the one short long board, draw a picket fence using the ruler and pencil. 3. Using an exacto knife, cut out the unneeded piece to reveal your fence details. 4. Hot glue each “wall” of fence together to make a rectangle. 5. Using the remaining foam board, set the rectangle fence on top, trace, and cut off the excess. Hot glue the “floor” to the bottom of the fences. We used scrap pieces of foam board to secure every few pickets to the floor as well to add extra stability. 6. Hot glue the brown paper basket filler to the floor of the fence area. Set aside. 1. 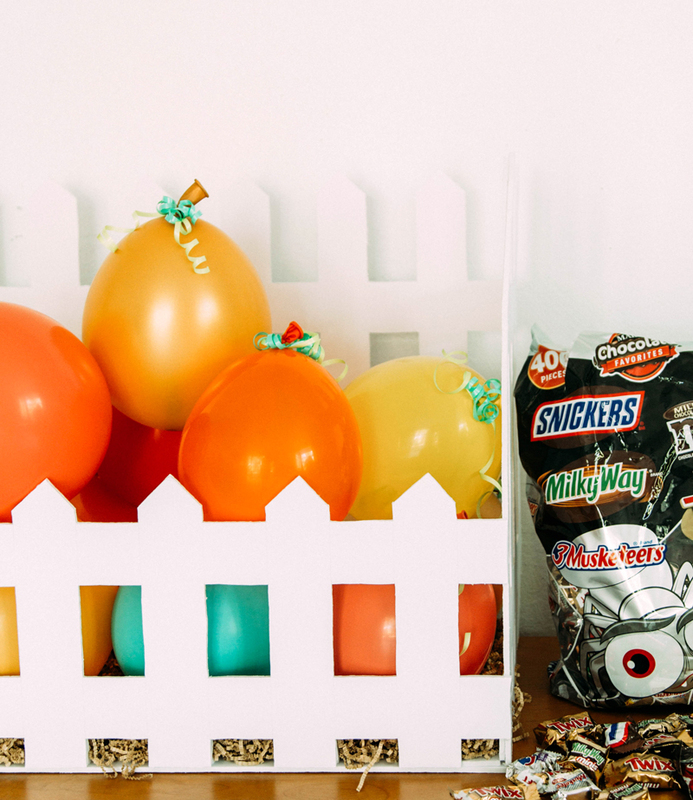 Fill all your balloons with a few pieces of candy. It helps to have a second set of hands for this so one person can stretch the balloons while the other drops the candies in. 2. 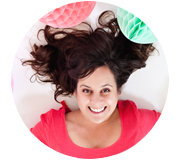 Blow up the balloons to a medium/small size. 3. Tie ribbons around the balloon neck and curl. 4. Once all your balloons are filled, place them in their fenced area! 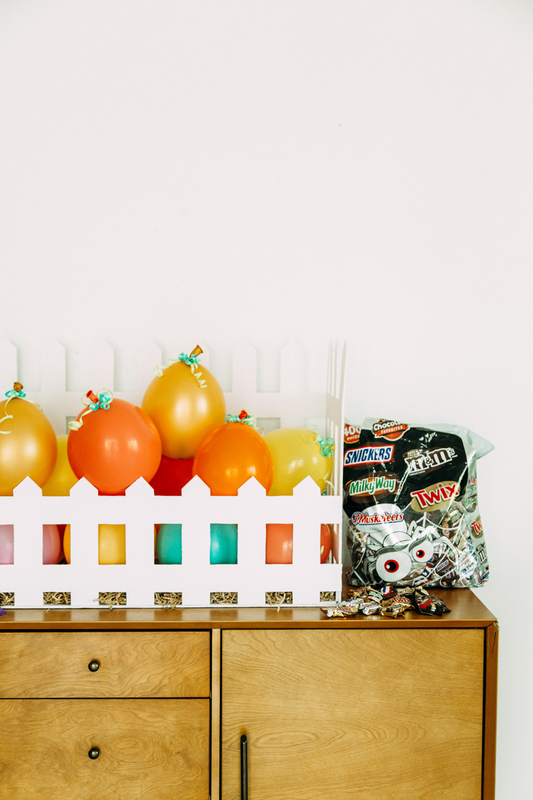 We only pick the BEST treats for our fun Halloween candy balloons. I mean, what's the point of a balloon if you just pop it and get a random brand hard candy?? Don't be that family! Give chocolate, the good kind. It's easy to do by purchasing a large bag of Mars seasonal Halloween candy. Boo it better with Walmart.